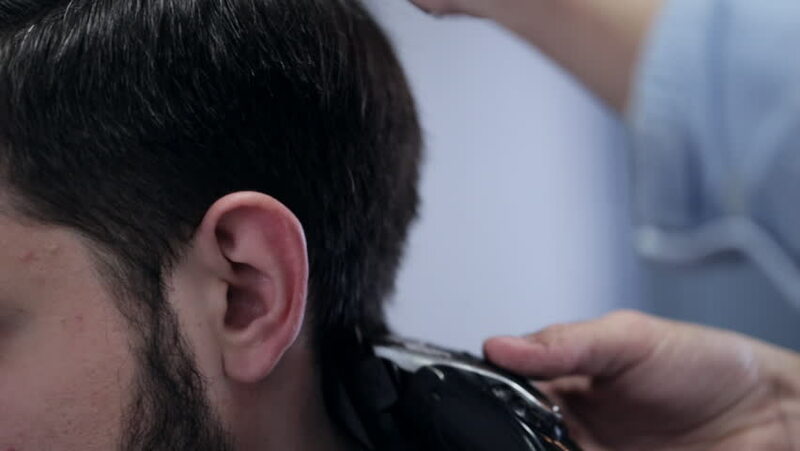 Male barber shape up haircut white man with electric razor at barbershop, close-up. hd00:06Attractive pensive young man looking to the side and stroking his beard. 4k00:24Close-up shot of a woman having her hair straightened. Shot in slow motion on RED Epic.